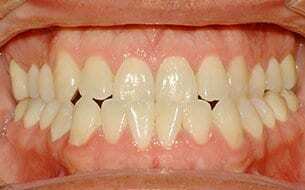 A deep bite (often refered to as an over bite) is defined by the amount of vertical overlap of the upper front teeth over the bottom front teeth where the upper front teeth cover too much of the lower front teeth. Excessive overbite requires correction by an orthodontist. A deep over bite is commonly confused with excessive overjet. Deep bites can negatively impact jaw and teeth function and are often difficult to effectively clean. 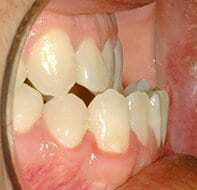 The lower front teeth may bite into the gum tissue on the roof of the mouth in a deep bite case. Also, chewing and biting can be difficult because the jaw cannot function normally. Lastly, the lips do not fit properly and may appear misshapen causing an unbalanced profile. Deep bites can be effectively corrected with braces. If you have a deep bite, call 214-378-5555 now or click to make an appointment today with the highly qualified Dallas, Texas orthodontist, Dr. Jason B. Cope at Cope Orthodontics in Highland Park’s Snider Plaza. Let us show you how braces can correct your deep bite. 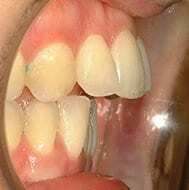 Open bite occurs when the top and bottom front teeth do not touch as the back teeth are touching. This can result in difficulty biting, chewing, swallowing, and can lead to a speech impediment. Even when fully biting, the lips can not completely close leaving an awkward appearance. Open bites can result from excessive thumb sucking, overuse of pacifiers, tongue thrusting, mouth breathing, and genetics. If not corrected, an open bite can lead to clicking or popping of the jaw and also may cause head, neck, and jaw pain. Open bites can be effectively corrected with braces but in severe cases surgery may be required. Dr. Jason B. Cope has developed alternative treatment methods to correct open bites, possibly eliminating the need for surgery. Use of the Unitek® Temporary Anchorage Device System is one such method. 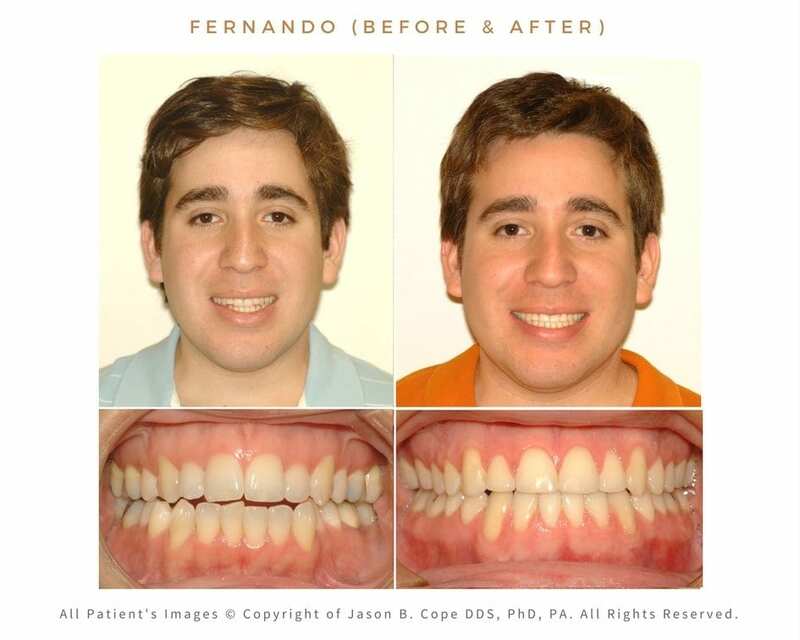 See your local Dallas orthodontist, Dr. Jason B. 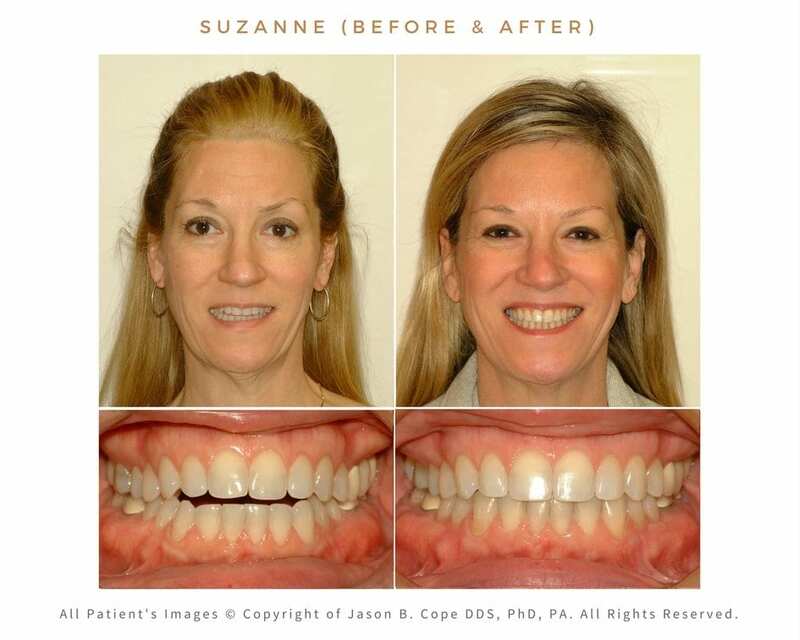 Cope, for more information and details on what open bite treatment is best for your situation. Correct your open bite today, call 214-378-5555 now or click to make an appointment today with the highly qualified Dallas, Texas orthodontist, Dr. Jason B. Cope at Cope Orthodontics in University Park’s Snider Plaza. Crowding occurs when there is too little space for the teeth, which results in rotated or overlapping teeth. 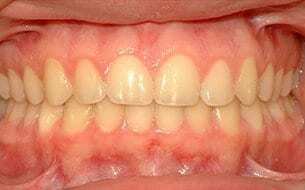 Malocclusions can be complicated by, or even be the result of, crowded teeth and require additional attention by an orthodontist. Crowding is generally hereditary but can also be the result of poor oral habits such as clenching, grinding, nail biting, or thumb sucking. Crowded teeth can be very difficult to effectively clean leading to an increased risk of decay and gum disease. Crowded teeth can be effectively corrected with braces. We offer many different options in braces such as clear aligner braces or the new lingual Incognito braces that are positioned behind your teeth for a virtually invisible treatment option. If you have overcrowded front teeth, call 214-378-5555 now or click to make an appointment today with the highly qualified Dallas, Texas orthodontist, Dr. Jason B. Cope at Cope Orthodontics in Highland Park’s Snider Plaza. 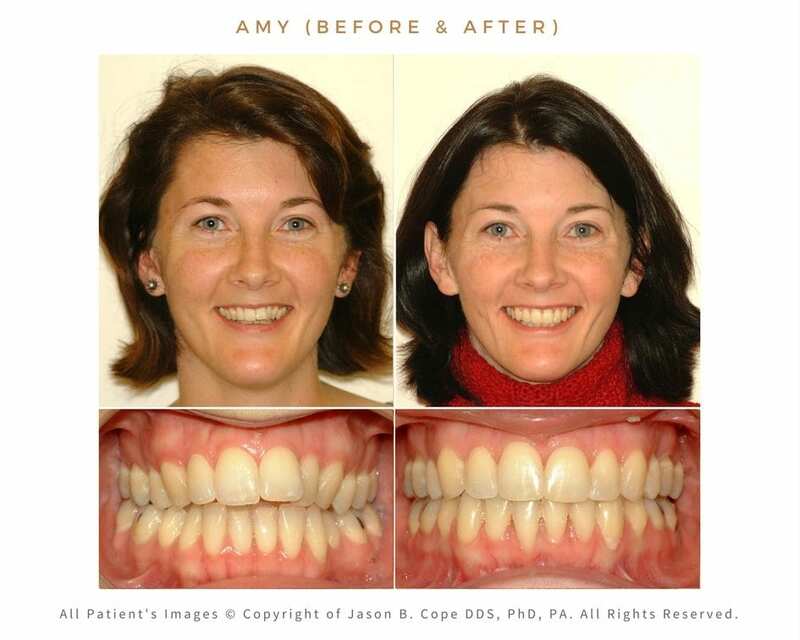 We can accurately space, align, and straighten your teeth to give you a beautiful and healthy looking smile. Let us correct your crowded teeth to improve your smile today! 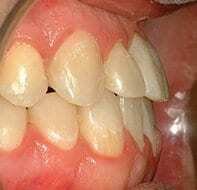 Under normal conditions, there should be no spaces between teeth. 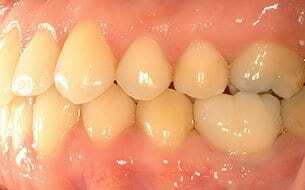 Spacing, therefore, is when gaps occur between teeth. The opposite of spacing is crowding. Spacing is often the result of a large tongue, excess tongue pressure pushing the teeth forward, or when collective tooth size is smaller than jaw size. An excess space condition greatly increases the risk of the teeth shifting. It also often results in food getting stuck between teeth. Excess spacing is easily corrected with braces. Dr. Jason B. Cope can close spaces between teeth using self-ligating braces, clear aligner braces, or lingual Incognito braces. 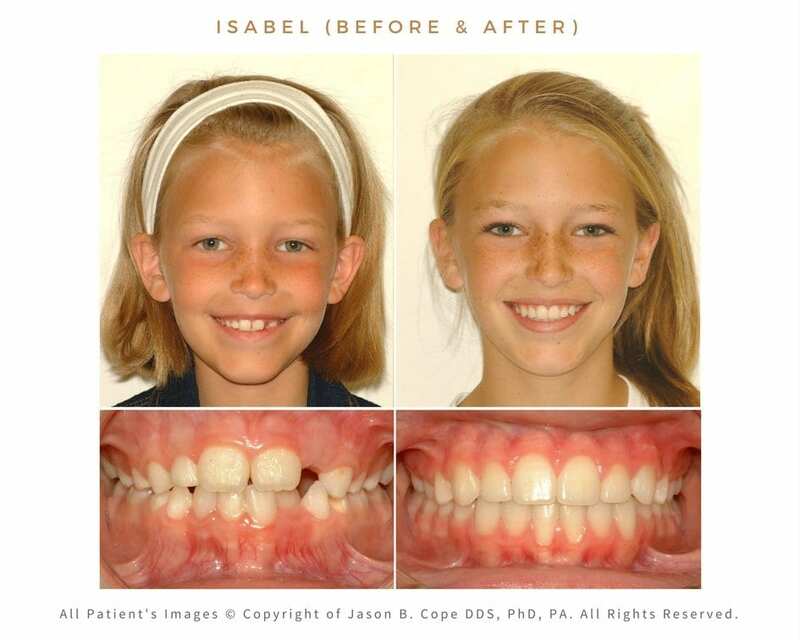 Correct excess spacing today, call 214-378-5555 now or click to make an appointment today with the highly qualified Dallas, Texas orthodontist, Dr. Jason B. Cope at Cope Orthodontics in University Park’s Snider Plaza. 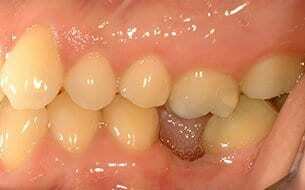 Overjet is the extent of horizontal distance between the upper and lower front teeth. 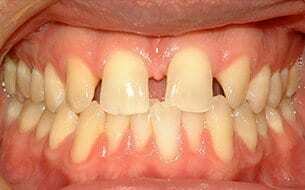 Excessive overjet occurs when the upper front teeth are significantly further forward than the lower front teeth. Overjet is commonly confused with deep bite. Excessive overjet requires correction by an orthodontist. Excess overjet is often the result of thumb sucking or overuse of pacifiers at a young age. 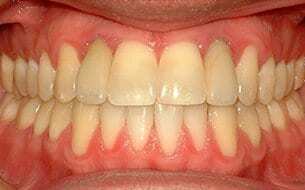 It can also be the result of overcrowded teeth forcing the upper front teeth to push outward. An excess overjet greatly increases the risk of injuring the protruded upper front teeth. The misaligned teeth can make biting into food difficult or impossible. If the excess overjet is severe enough it may result in speech impediments. The lips may not fully close leaving an awkward appearance that may result in poor psychosocial health of the individual due to teasing. Excess overjet can usually be corrected with braces but surgery may be required in severe cases. 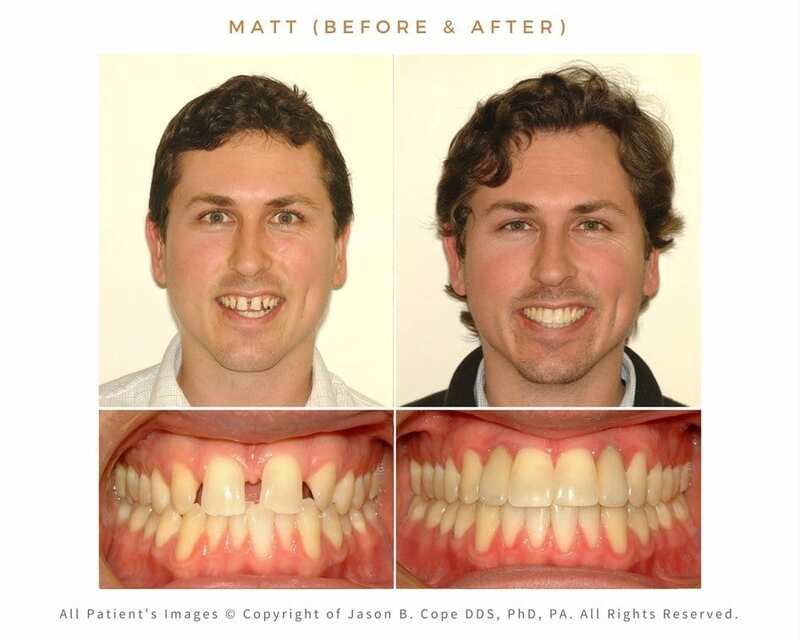 CopeOrtho has advanced technology developed by orthodontist Dr. Jason B. 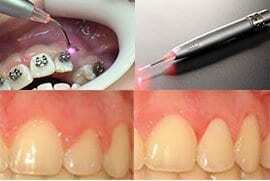 Cope which can correct an excess overjet often without the need for expensive and intrusive surgery. This technique uses the Unitek® Temporary Anchorage Device. 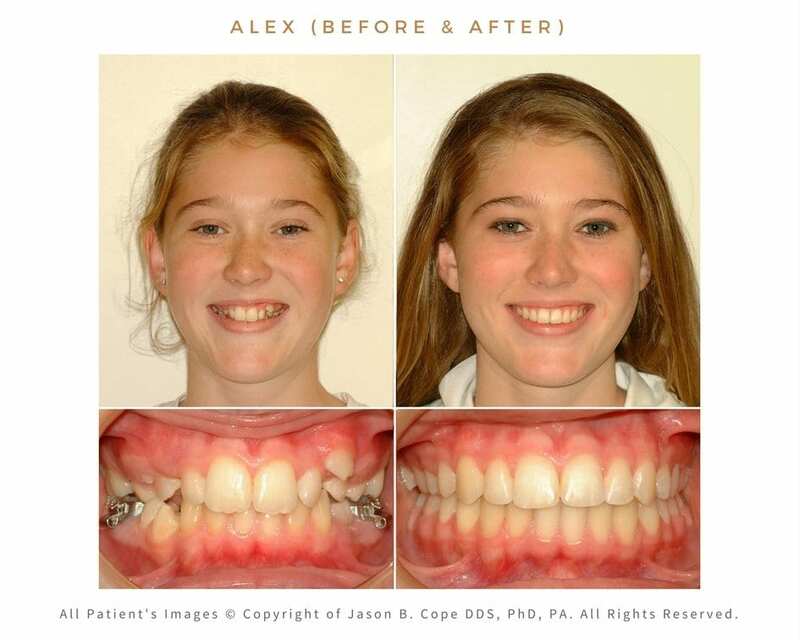 Correct an excess overjet today, call 214-378-5555 to schedule an appointment with the highly qualified Dallas, Texas orthodontist, Dr. Jason B. Cope at Cope Orthondontics in University Park’s Snider Plaza. 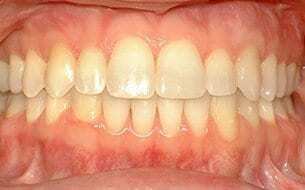 An negative overjet (often referred to as an underbite) occurs when the lower front teeth extend beyond the upper front teeth. The lower jaw and chin usually protrude outward as well causing an unbalanced profile. This results in a misalignment between the upper and lower front teeth and jaws and causes biting or food chewing to be difficult. If severe enough, speech impediments can also result. 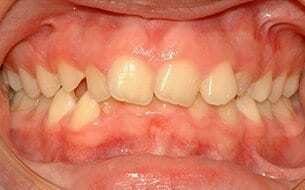 Negative overjets are primarily hereditary but improper alignment of baby teeth can cause a negative underjet to develop. A negative overjet can be corrected with braces but in severe cases surgery may be necessary. 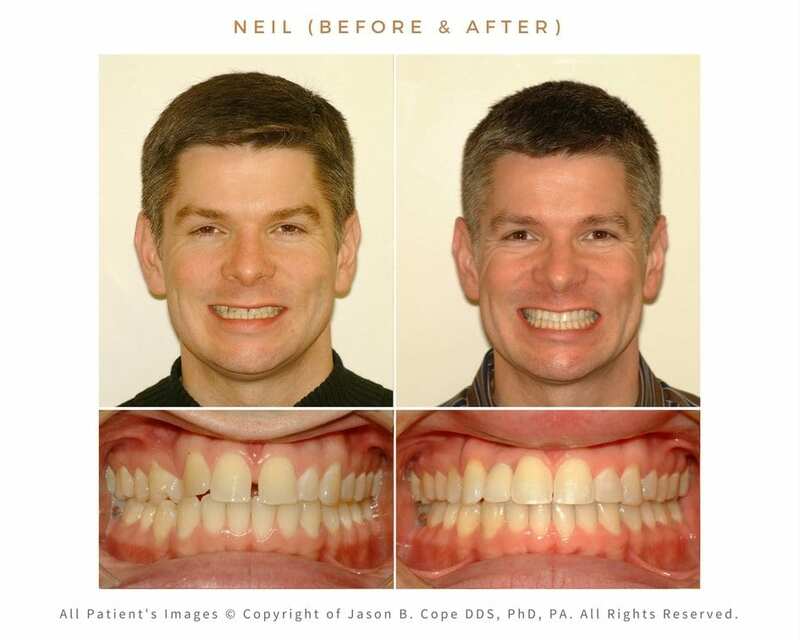 If you have a negative overjet or wonder how braces can help correct it, call 214-378-5555 now or click to make an appointment today with the highly qualified Dallas, Texas orthodontist, Dr. Jason B. Cope at CopeOrtho in University Park’s Snider Plaza. 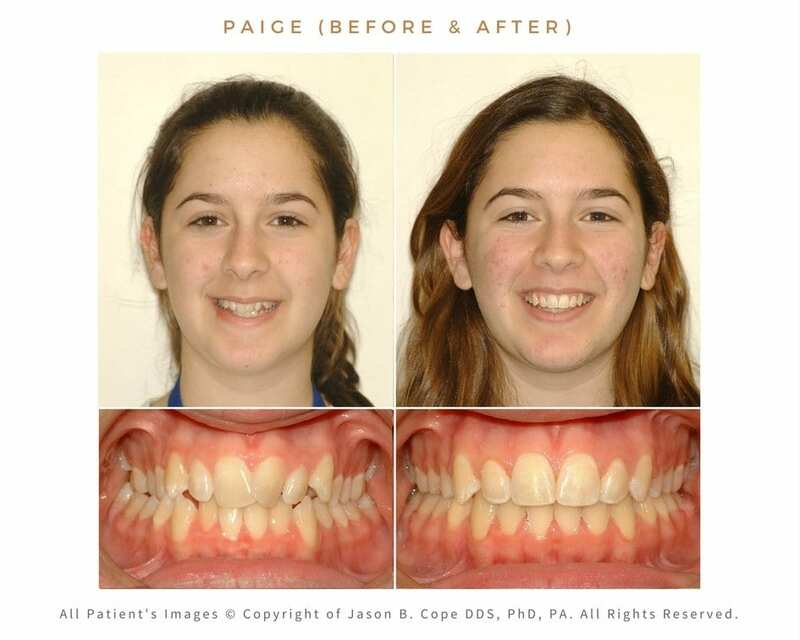 Cope Orthodontics can provide both adult and youth treatment. Correct your negative overjet and improve your smile today! 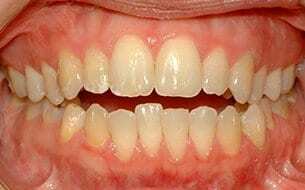 A crossbite occurs when the upper teeth fit inside the lower teeth. This misalignment may inhibit proper chewing or use of teeth. This can also cause uneven jaw growth and an unbalanced facial appearance. If not corrected, a crossbite can increase the risk of temporomandibular joint (TMJ) problems, symptoms of which include pressure on the jaw joint, head, neck, and cheek pain. A crossbite can also leave the jaw in an awkward position. Some causes of crossbite include sinus problems, mouth breathing, delayed loss of baby teeth, and even heredity. 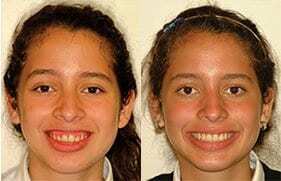 Crossbites are effectively corrected with braces to realign your teeth and to improve the shape of your smile. 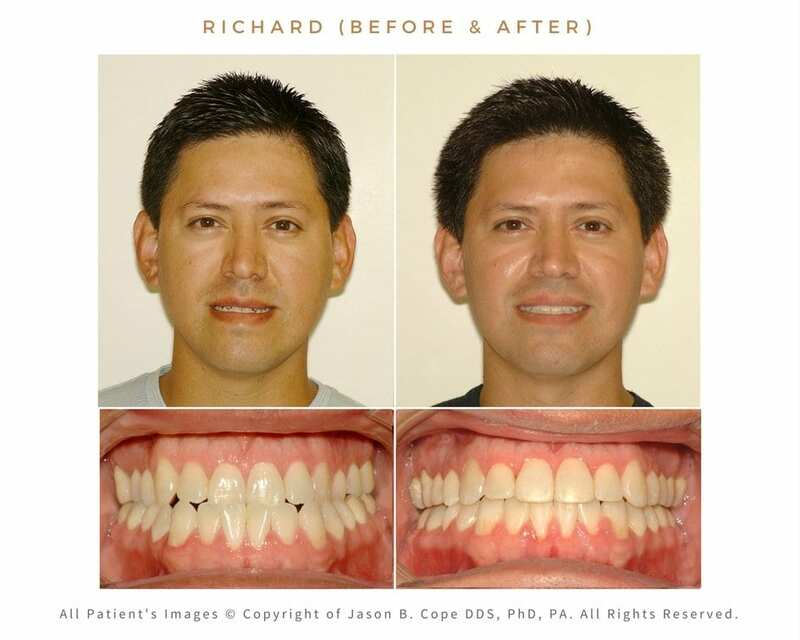 If you wonder how to correct your crossbite, call 214-378-5555 now or click to make an appointment today with the highly qualified Dallas, Texas orthodontist, Dr. Jason B. Cope at Cope Orthodontics in Highland Park’s Snider Plaza. 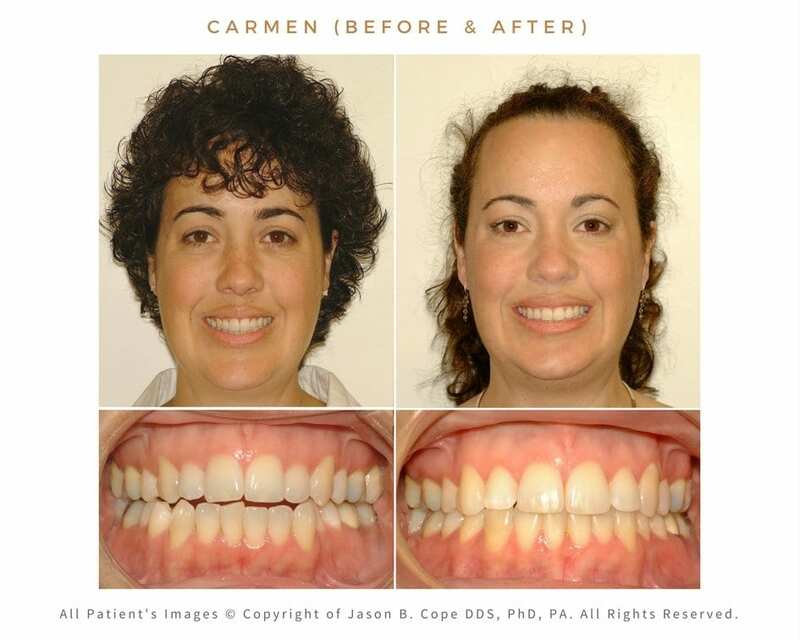 Let us find the best crossbite solution for you! A gummy smile is one in which too much gum tissue is visible when a person smiles. While this is highly subjective, the most appropriate amount of gum tissue to show in a full smile is about 1-2 mm. In other words, your teeth should occupy about 90% of your smile and gum tissue should only occupy about about 10% of your smile. of long-term wear of the upper teeth, such that the teeth supererupt bringing the gum tissue with them. This can be effectively corrected with braces and TADs. If you have a gummy smile, call 214-378-5555 now or click to make an appointment today with the highly qualified Dallas, TX orthodontist, Dr. Jason B. Cope at Cope Orthodontics in University Park’s Snider Plaza. 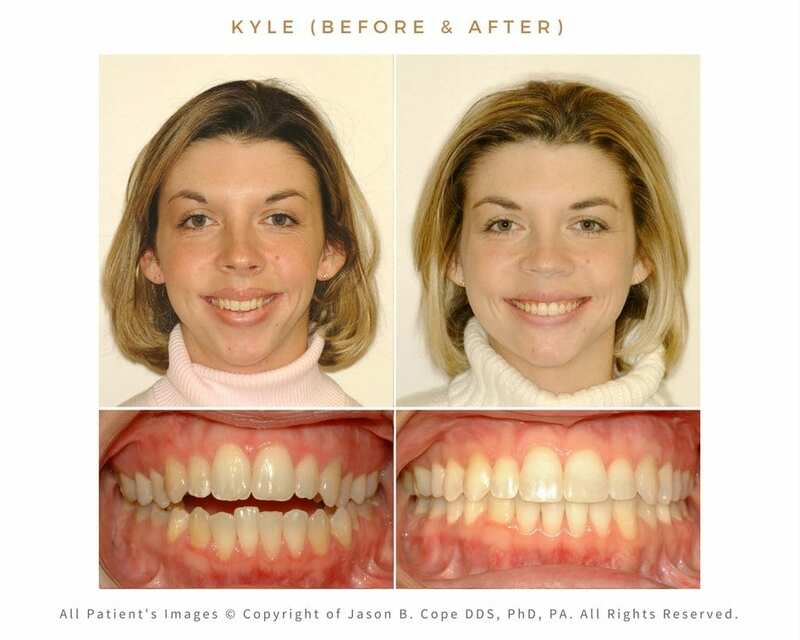 Let us show you how braces can eliminate your gummy smile. Supererupted teeth are the result of premature loss of opposing teeth. This most frequently occurs when a lower back tooth is lost, either by trauma or extraction of a decayed tooth. Without an opposing tooth, the upper tooth supererupts or “grows” into the space of the missing tooth. This can make it difficult to bite or chew because of the interference of the supererupted tooth. 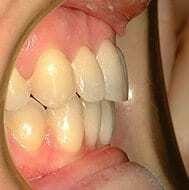 Correcting this type of problem is difficult with traditional braces. To overcome this limitation, Dr. Jason B. Cope developed the UnitekTM TAD System to effectively treat these problems. By using a TAD in conjunction with braces, the supererupted tooth can be repositioned into its ideal location. Afterwards, your dentist can replace the missing lower tooth leaving you with and ideal bite and smile. If you have supererupted teeth, call 214-378-5555 now to schedule an appointment with the highly qualified Dallas, Texas orthodontist, Dr. Jason B. Cope at Cope Orthodontics in Highland Park’s Snider Plaza. Let us show you how braces can treat your supererupted tooth. The most frequent cause of missing teeth is heredity. Other causes include traumatic injury or extraction of decayed teeth. If left untreated, adjacent teeth may shift into the spaces left by the missing teeth causing difficulty in chewing food. 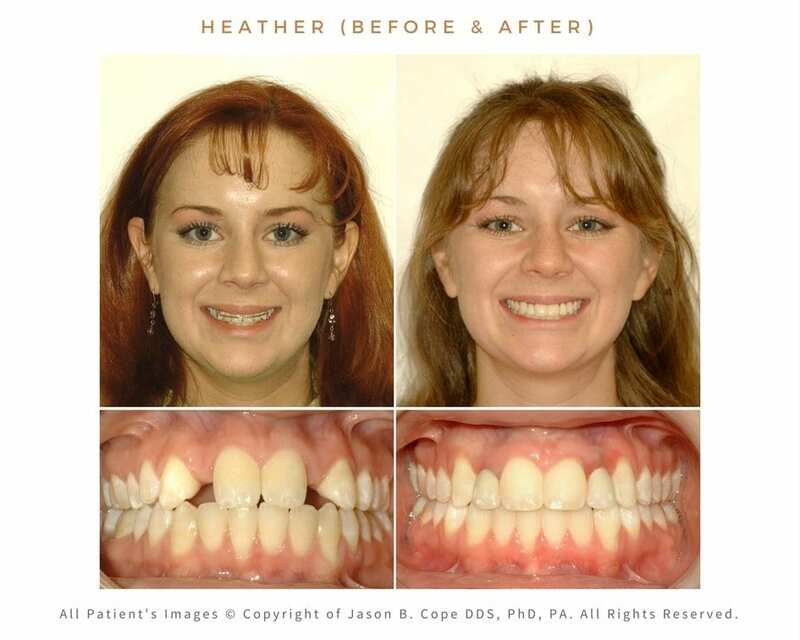 The spacing left by missing teeth usually results in less than ideal smile aesthetics. 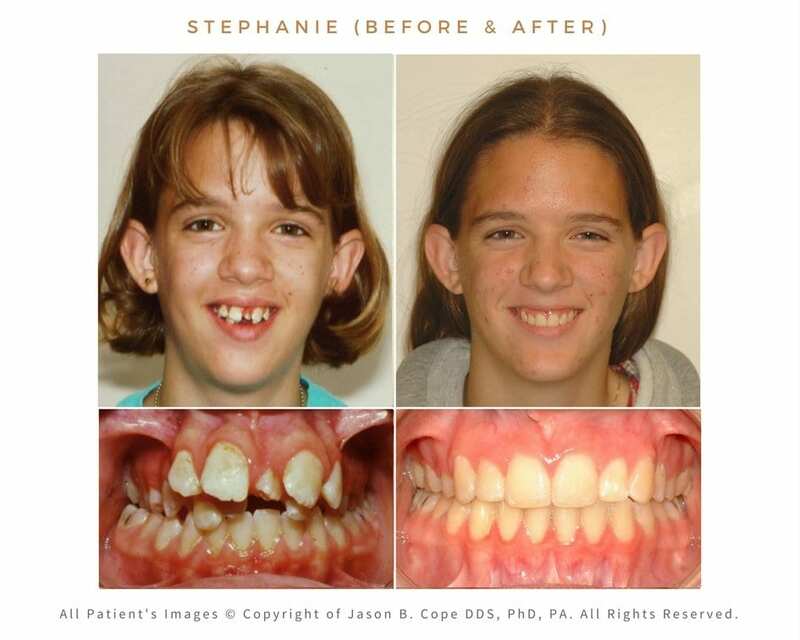 Missing teeth may be treated several different ways depending on your goals and objectives. One option is to orthodontically consolidate the teeth and spaces, making room for either implants and crowns or bridges. Another option is to orthodontically close all spaces and elimate the need for implants and crowns or bridges altogether. Dr. 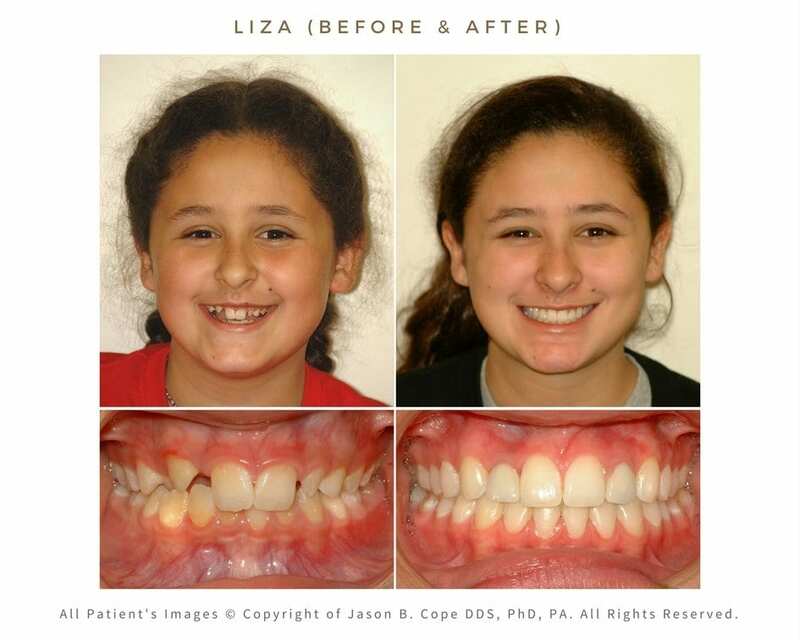 Cope is well-known for the interdisciplinary treatment required to correct this type of orthodontic problem. 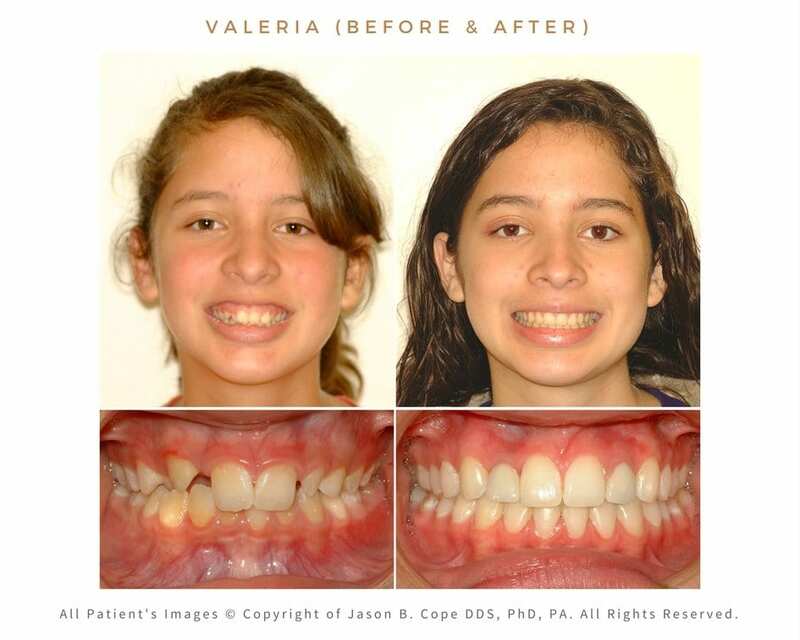 Call 214-378-5555 now to schedule an appointment with the highly qualified Dallas, Texas orthodontist, Dr. Jason B. Cope at Cope Orthodontics in Highland Park’s Snider Plaza.